Our company was founded with one goal in mind: To bring security, identity, and trust to every voice interaction. It all started when founder Vijay Balasubramaniyan was traveling in India and tried to order a new suit from a local tailor. His bank flagged the international transaction as suspicious and tried to call him to verify the purchase, but the bank couldn’t prove its identity over the phone. Vijay also had no way to prove his identity to the bank. As the bank cancelled his order, Vijay promised himself he would find a better way for people to authenticate over the phone. Balasubramaniyan completes his PhD at the Georgia Institute of Technology. His dissertation focuses on analyzing the traits of phone calls to determine their true characteristics. He brands this technology “phoneprinting,” creating the trademark, and receives immediate interest from major U.S. banks. Dr. Mustaque Ahamad sets up a meeting between his former student, Vijay Balasubramaniyan, and local serial entrepreneur Dr. Paul Judge. The three agree to co-found Pindrop with a goal to revolutionize call center security and create a vision for the future of voice. Pindrop’s initial investors include Andreessen Horowitz, GRA Venture Fund, New World Ventures, Sigma Partners, and Webb Investment Network. The company uses the funds to scale customer acquisition and expand product development, quickly adding marquee clients. Led by Andreessen Horowitz and Citi Ventures, this round included new investors Redpoint Ventures and Felicis Ventures alongside Webb Investment Network (WIN). The funding allows Pindrop to meet strong customer demand with additional engineering, operations, sales, and marketing resources in the U.S., Canada, and Europe. Pindrop releases Fraud Detection System version 2.0, which adds voice biometrics to Pindrop’s patent-pending Phoneprinting™ technology. The combination allows Pindrop to help call centers confirm the identity, location, and type of device used for calls into a particular institution or call center. Fighting phone fraud, as well as more effectively authenticating customers, becomes a priority for financial institutions globally. In 2014, Pindrop begins working with clients in major financial centers, including London and Toronto. Institutional Venture Partners (IVP) leads the round with reinvestment from existing investors Andreessen Horowitz, Citi Ventures, Felicis Ventures, Redpoint Ventures, and Webb Investment Network. This additional investment enables Pindrop to globally expand operations while continuing to improve service to its existing customers. USPTO Patent No. 9,037,113 is granted for the algorithm Balasubramaniyan developed to analyze calls in 2011. The patent further solidifies Pindrop’s continued leadership in the fast-growing voice anti-fraud and authentication market, with top banks and retailers, as well as Fortune 500 companies, deploying Pindrop® technology. CapitalG leads this $75 million Series C funding round with participation from GV, Andreessen Horowitz, IVP, Citi Ventures, and Felicis Ventures, bringing Pindrop’s total funding to $122 million. This investment makes it clear that voice is the future, helping to accelerate Pindrop’s global expansion and allows for improved research and development. Pindrop Protect is released. Protect is a multi-factor call center anti-fraud solution. 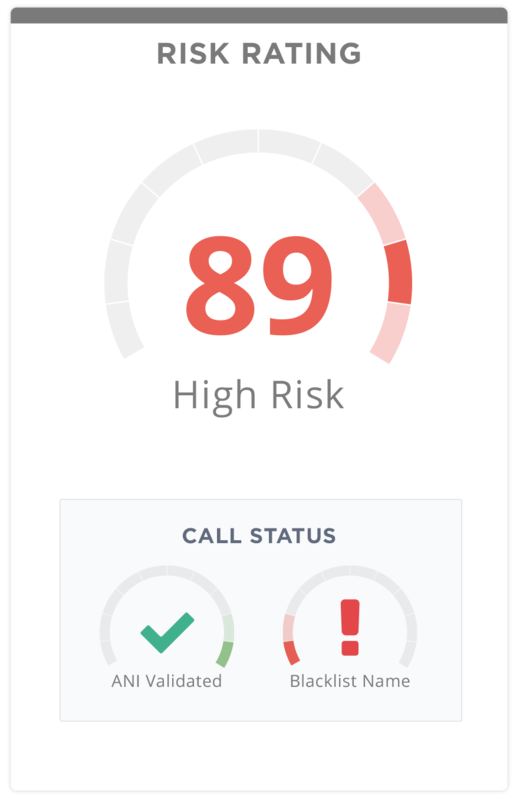 Pindrop Protect uses every facet of a call — audio, voice, and metadata — scoring each call based on anomaly detection and matching to existing fraud profiles using Phoneprinting™ technology, voiceprinting, and the Pindrop® Network. This — used in concert with a customer consortium, one of the world’s largest audio databases of fraudulent calls, and machine learning — allows Protect to provide a highly accurate anti-fraud solution with unrivaled results for the world’s premiere call centers. Pindrop Passport is announced — a cloud-based, multi-factor authentication solution for call centers that passively authenticates callers as they naturally engage with an interactive voice response (IVR) system. Passport runs in the background of a call, combining Pindrop’s core Phoneprinting™ technology with voice biometrics and a risk analytics engine, to determine if a caller has the right device, voice, and behavior to access an account. With Passport, call centers can confidently trust their customers in the IVR and reduce average handle time associated to agent-assisted authentication, and ultimately improve caller experiences. Pindrop Panorama is introduced — a robust authentication and anti-fraud platform, encompassing all Pindrop solutions. Pindrop Panorama leverages years of innovations in machine learning, analyzing one of the world’s largest collections of fraud profiles, to provide authentication and anti-fraud solutions for today’s call center. With Pindrop, organizations can verify their callers in a customer-not-present environment while deterring fraudulent access to customer accounts and identities. Pindrop helps you recognize your customers and spot fraudsters based on their voice, device, and behavior.